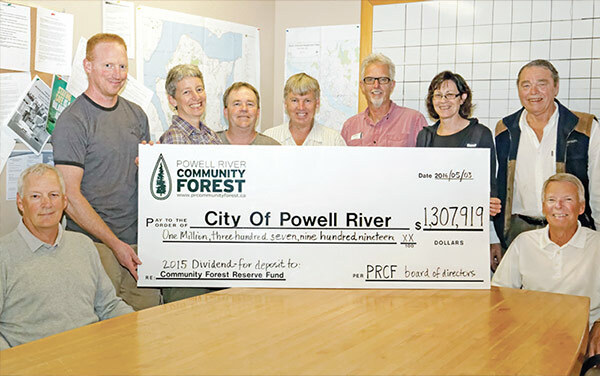 Powell River Community Forest (PRCF) is pleased to provide some information about our community forest and 2016 forest management activities. This was our 10th year of operation, so along with our standard annual report, we will make a few references to the past. Sustainability of PRCF operations has been an overriding objective for our board of directors. Over the last three years, PRCF has made a considerable investment updating our forest inventory and conducting a timber supply analysis. We also completed a new community watershed assessment procedure for the Haslam and Lang watersheds. The process was completed in 2016 with the submission and approval of our new management plan. We are fortunate to have a very stable, long-term timber supply, which allows an allowable annual cut increase to 35,000 cubic metres per year. We are comfortable this level of harvest still leaves us flexibility to prescribe additional site specific measures for added protection of other resource values. Operationally, 2016 was a very successful year. PRCF operations were conducted safely and in compliance with all environmental protection measures. During 2016, we scaled 33,346 cubic metres of timber. We also invested in more road development, intensive silviculture and recreation infrastructure. Working with government, PRCF has also moved to formally designate our Old Growth Management Areas in the CFA. In 2016, we put $1.7 million back into the Powell River economy through contracts and supply purchases from local companies. We would like to acknowledge a couple of individuals/companies who have been working with us from the start: Diana Lamont, Lamont and Company; Roger Watt, Canadian Overseas Log and Lumber; and Chris Laing, Results Based Forest Management. 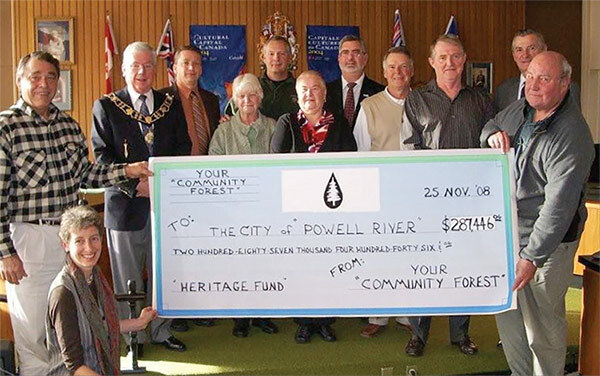 On May 19, 2016, we presented our 2015 dividend in the amount of $1,307,919 to City of Powell River for deposit into the community forest reserve fund. At that time we announced 13 initial 2016 grants totalling $872,916. In October we announced another 12 grants, totalling $529,536. All excellent projects which we have no doubt will be seen as great community assets in the future. 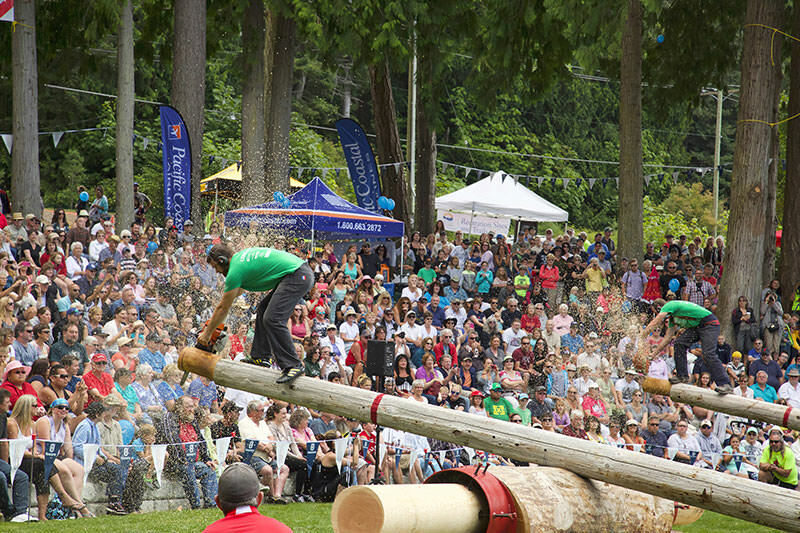 We have a soft spot for the return of Logger Sports to Powell River. It was great to see the large, enthusiastic crowds filling the newly upgraded Loggers Memorial Bowl. We also feel a strong connection to the annual BC Bike Race, which showcases a number of trails in and around the community forest area. We are forecasting a 2016 year-end profit of approximately $2.1 million, a big jump from our previous high. This included revenue from 8,900 cubic metres of 2015 inventory, right of way timber and higher than predicted log prices due a strong log market. 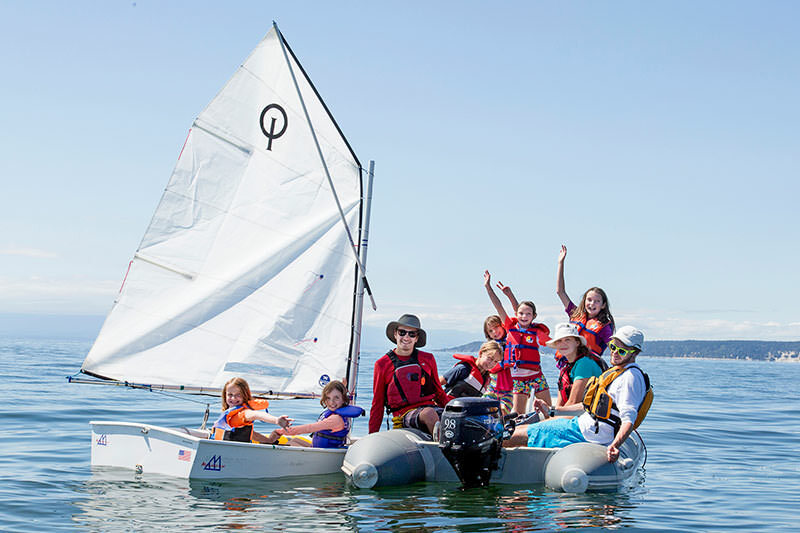 PRCF started from scratch with only a two-year, $200,000 loan from our shareholder, City of Powell River. The board made it work and in 2008 PRCF paid off the loan, plus interest and was able present our first dividend of $59,701. PRCF has come a long way since then. 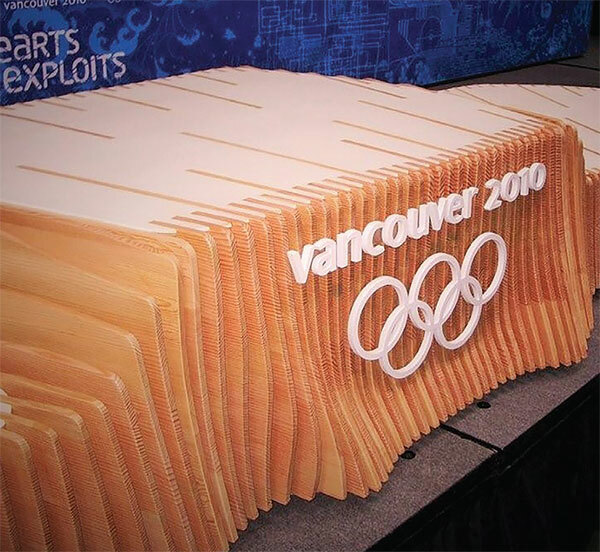 In the lead up to the 2010 Olympics, CFAs were asked if they would be interested in supplying wood for Olympic podiums. 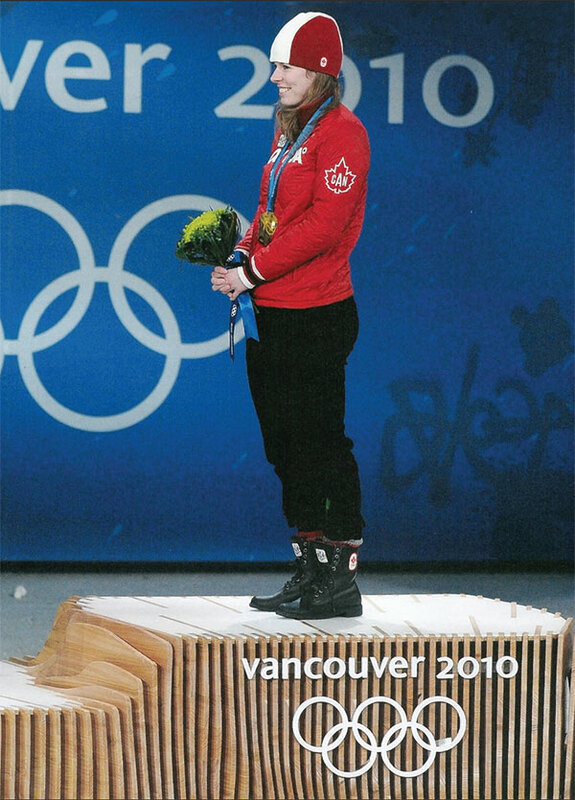 PRCF’s podium was built from locally milled Douglas fir and used for medal presentations at Richmond Olympic Oval. The city acquired the Millennium Park lands, however, a forest company held rights to the timber. In 2014, PRCF supported the city’s efforts to buyout those rights with a grant for $1,181,250. This ensured all timber, which is the park’s key feature, will be preserved for future generations. Please drive carefully on our forest roads. There may be active operations, even on the weekend. We have a myriad of great trails. Before going hiking or biking, pick up a trail map. You will be within the Haslam Lake and Lang Creek community watersheds. Please ensure your activities do not impact the water quality of any streams or lakes. Pack out any garbage. As summer rolls around, help us prevent forest fires.